At Mission Adelante, we believe that developing individuals to reach their potential in the workplace is a critical part of community transformation. Adelante Thrift is on an exciting journey of doing exactly that, developing people through employment at the our store. The emphasis is to equip and empower people from our community. We hoped that some staff would grow with the store, moving up and taking on new leadership roles. We also knew that some would use Adelante Thrift as a stepping stone to gain confidence and learn valuable skills, applying them as they pursue other careers. Kasey Her is one of our employees who is growing at Adelante Thrift. Kasey has been working for Adelante Thrift as a cashier for the past year and a half. Recently she has been given more responsibilities related to social media and marketing. When first asked if she would be interested in taking over some of the social media responsibilities, she was a bit hesitant. However, after lining up coaching and training, she agreed to take the step to learn new things. Besides Kasey’s eagerness to learn new skills, she shared that she loves the store for its mission in helping people from all places to find affordable things for daily life. She knows first hand how it can be difficult for people who moved into the area to get what they need at affordable prices. Although Kasey was born in the United States, her parents moved here from Laos. It took time for them to adjust and learn the language. Yet, regardless of those challenges, she is thankful to be able to pursue her dreams. She also loves to use her passion for helping people and to talk to people who come to shop. Kasey is a shopper herself, and she loves to shop at Adelante Thrift too. “It’s hard not to buy stuff here, and I can’t seem to leave the store without buying something at times,” shares Kasey. Kasey will be receiving additional mentoring this semester. A business student from William Jewell College will be interning at the store to assist with marketing and social media and will give Kasey advice and new ideas. Kasey is beyond excited to have a resource to help her with her new responsibilities. 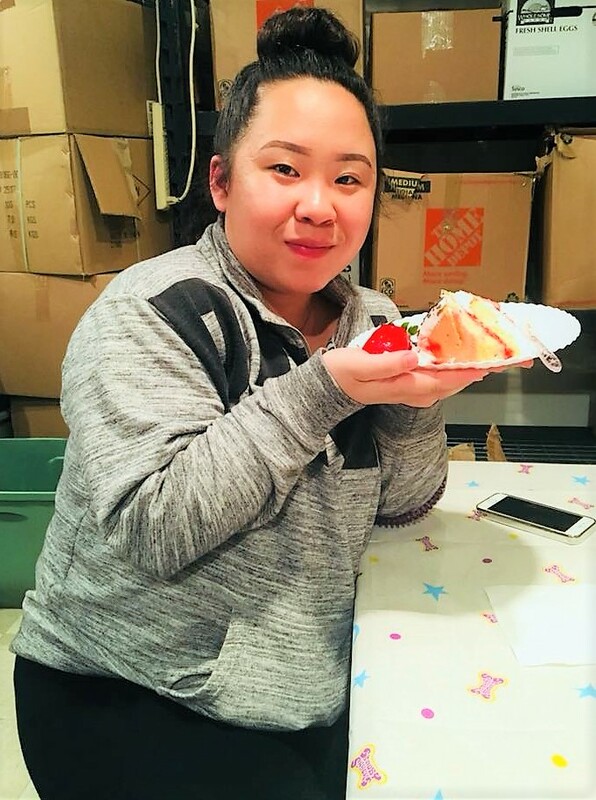 We are eager to see how Kasey will continue to grow at Adelante Thrift! Older PostAdelante Arts Community Launches Its Second Year!